The most comprehensive greenhouse book available! 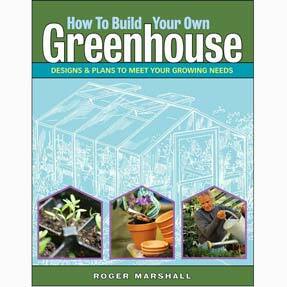 Includes an overview of the greenhouse environment and describes how to assess your greenhouse situation and needs. This book gives advice on selecting and propagating plants as well as setting up your greenhouse plus environmentally-friendly ideas and economical suggestions are discussed. 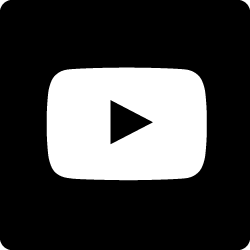 An alphabetical listing of more than 300 flowers, fruits, vegetables and herbs as well as information on how to solve pest and disease problems, and schedules for year-round harvest of food and flowers will surely tell you everything you need to know about greenhouse gardening! By Shane Smith. 544 Pages. Excellent- worth the cost. Gave me some new ideas which I'm putting in my new greenhouse this summer. My husband loved this book. Went through it and earmarked various pages. He recently built a greenhouse on side of house and book will be very helpful. 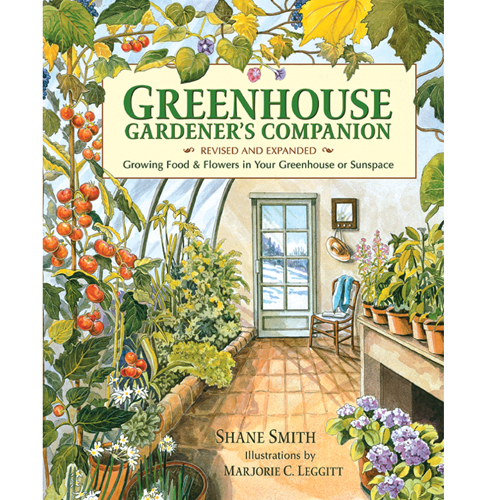 Staff review: I bought this book during my first year of employment to learn more about greenhouses and I could not be happier. Everything I had questions about was answered by this book. I highly recommend this book. I just had a greenhouse built in my back yard and wanted to get the best use out of it. 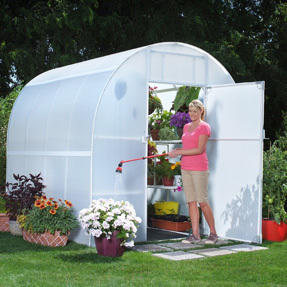 This book is filled with ideas and tech info for both novice and advanced greenhouse growers. Can't wait to put to practice all I have learned for the book.